Welcome back to our blog! In keeping with the holiday theme, we looked at some of the most common plumbing problems that occur during the holidays in part one of our short blog series. Clogs in kitchen and bathroom sinks are incredibly common during the holidays with all the extra cooking and with having guests visiting for the festivities. Toilet troubles can also cause a major headache for people when the toilet backs up, or the water won’t stop draining. 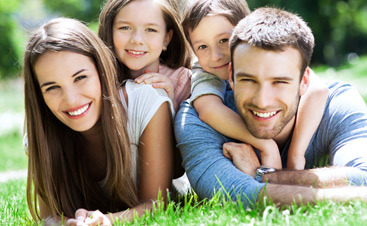 Be sure to read part one to learn more about these issues and some simple solutions for avoiding them. 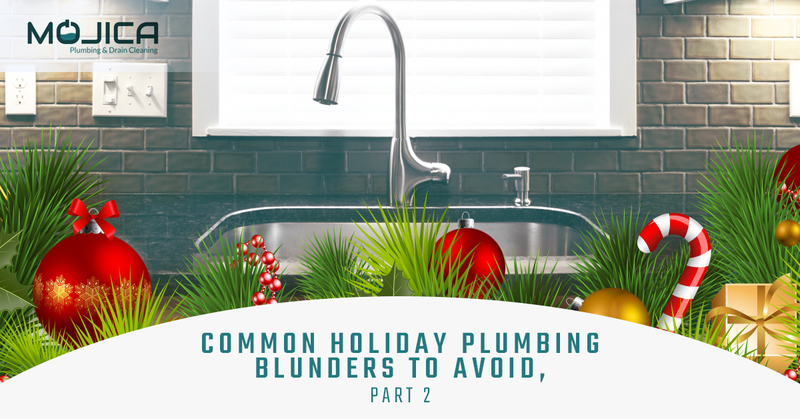 Let’s explore a few more common holiday plumbing blunders in today’s blog post. Avoid putting meats and bones into your disposal. Meat can be ground up, but it is hard on the disposal. Bone, on the other hand, can damage your disposal, so be cautious about removing bone, gristle, and tendons if you must put meat down the drain. It’s best to dispose of these items in the trash. Throw veggies like celery and carrots in the compost or trash can, as these can get caught in the grinders and lead to a clog. Absolutely do not pour excess grease, oils, and cooking fats down the disposal. These are terrible for both the disposal and the piping system, and could lead to repairs and backups. Insert a drain catch that can catch foods which can then be tossed into the trash can. That way, you’re limiting what goes down the drain, which is helpful when you have too many people in the kitchen, so to speak. Inserting a drain guard over the bathtub drain that will catch hair and toys. Flush your bathtub drain and pipes regularly with Bio-Clean, our effective drain cleaning solution, to remove clogs and keep your drains clean. 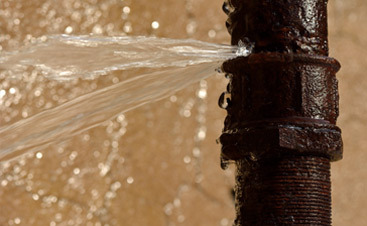 Call Mojica for a drain cleaning service to maintain properly functioning pipes in your bathrooms. Inspect the hoses for tears and signs of damage, replacing anything that looks questionable. Make sure the discharge hose is tucked snuggly into the drain behind the washing machine to avoid excessive splashing, spillage, and water drips. Check that the shut-off valves can be turned easily in case of emergency. You can protect your floors from overflows by inserting a washer pan under the washing machine. Keep a squeegee, towels, and a mop handy in case you experience an overflow. Limit washing machine usage and run only when there’s a full load, but don’t overfill your washer so that it gets thrown off balance. Nobody wants to experience a plumbing blunder during the holidays that could have been avoided, so keep your plumbing in ship-shape this season by following these tips. 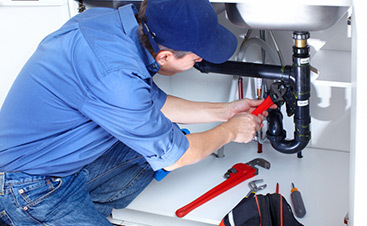 If you have any questions, feel free to give us, your trusted plumbers in Austin, a call. At Mojica Plumbing and Drain Cleaning, we’re dedicated to providing you with expert plumbing services all year long, including during the holidays. If you should encounter a plumbing nightmare, want to schedule a drain cleaning, or require any of our plumbing services, we’re just a call or a click away. From all of us at Mojica Plumbing, we wish you and yours the happiest of holidays!